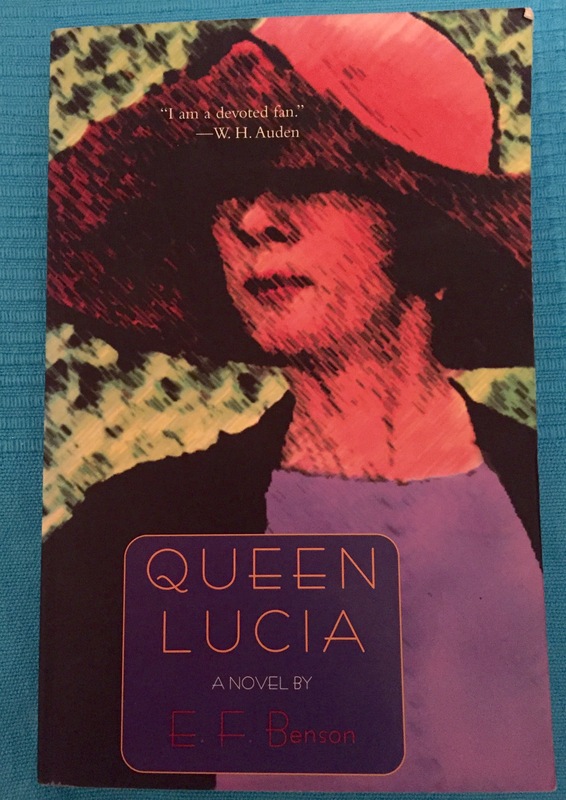 This week’s BotW is the first in the Mapp and Lucia series by E F Benson – which doesn’t actually feature Miss Mapp – just Lucia! I’ve read Mapp and Lucia – which is the the fourth boo in the series and have come back to the start. I have Miss Mapp waiting on the Kindle in the interests of fairness! In Queen Lucia, we meet the residents of Riseholme and their snobbish leader. Emmeline Lucas – Lucia – always wants to have the upper hand, and employs all sorts of underhand methods to dominate the neighbourhood. She and her husband drop snippets of Italian into conversation to make people think they’re fluent (they’re not), and she practices her piano duets in secret so she can “sight-read” them when Georgie comes over. Georgie is her best friend (if she can be said to have one when life is a constant competition for superiority), balding and greying and desperate to hide it, he has his faults, but in this book at least is a slightly more sympathetic character than Lucia. But for all that Lucia is awful, this is such a fun book. The townspeople’s snobbery leads them into trouble at every turn. If you watched the 2014 TV adaptation you’ll recognise some of the plots here. Snigger as the Riseholmians embrace yoga. Chuckle as they compete to be best friends with the visiting opera singer. Cringe as Lucia’s (lack of) proficiency in Italian comes under scrutiny. And then thank goodness that your group of friends are nothing like this. And if your group of friends are like this, then maybe consider finding some new ones – constantly trying to one-up everyone else must be exhausting! Queen Lucia is available for free on Kindle and although it’s not free on Kobo it is available in a variety of file formats for free from Project Gutenberg. There’s also a variety of omnibuses (omnibii?) at differing price points (depending on if you want the cover that ties in with the TV series) and DVD releases of both the most recent and the 1980s TV series. Enjoy!